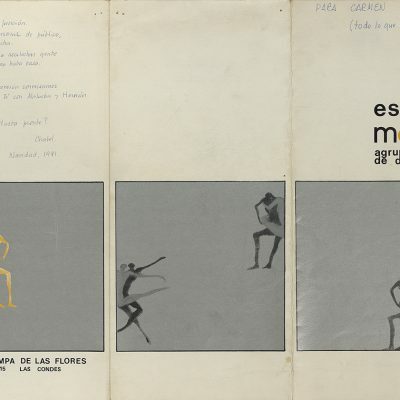 Triptych of “Primario: Rituales y Misterios” of Mobile ´s presentation. 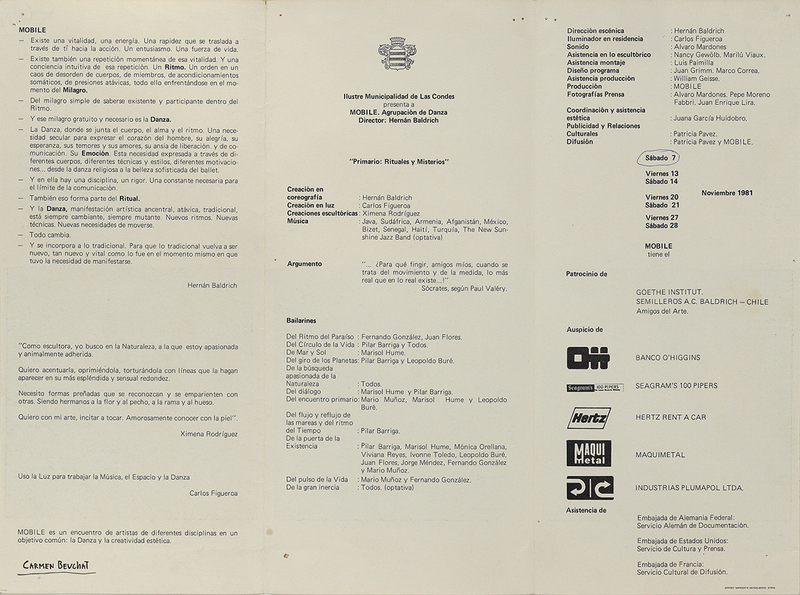 Dance Group directed by Hernán Baldrich, presented at Ilustre Municipalidad de Las Condes, Santiago, Chile, on November 1981. Lighting: Carlos Figueroa. Sculptures: Ximena Rodriguez. 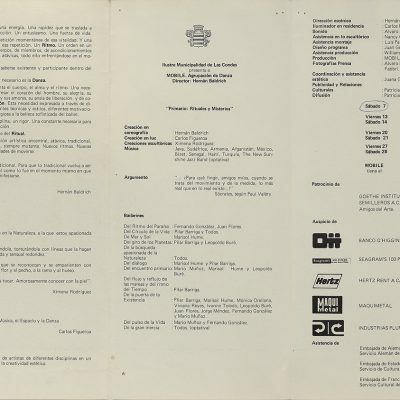 Dancers: Fernando Gonzalez, Juan Flores, Pilar Barriga, Marisol Hume, Leopoldo Buré, Mario Muñoz, Mónica Orellana, Viviana Reyes, Ivonne Toledo, Jorge Méndez. 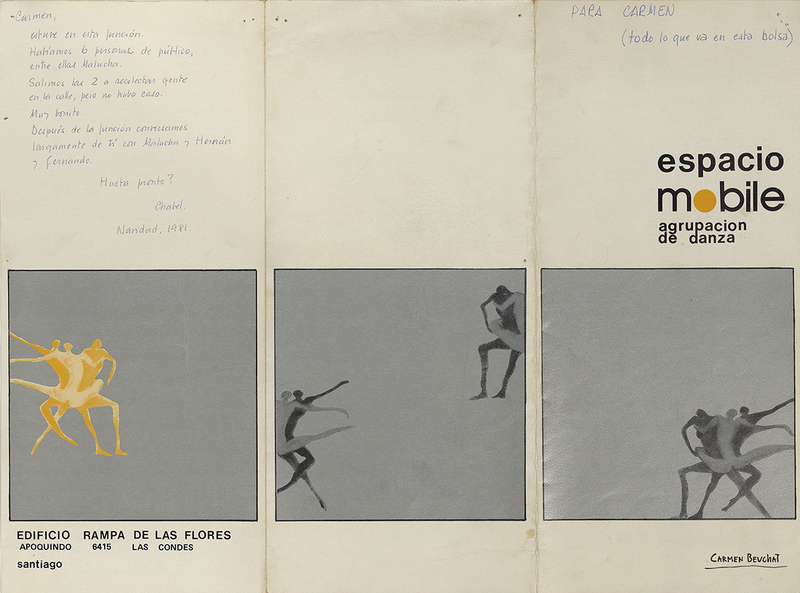 Program design: Juan Gimm and Marco Correa. Sponsored by :Goethe Institut. Support by : Banco O”Higgins, Seagram´s 100 Pipers, Hertz Rent A Car, Maquimetal, Industrias Plumapol Ltda. Asisted by: German Federal Embassy, United States Embassy, French Embassy.